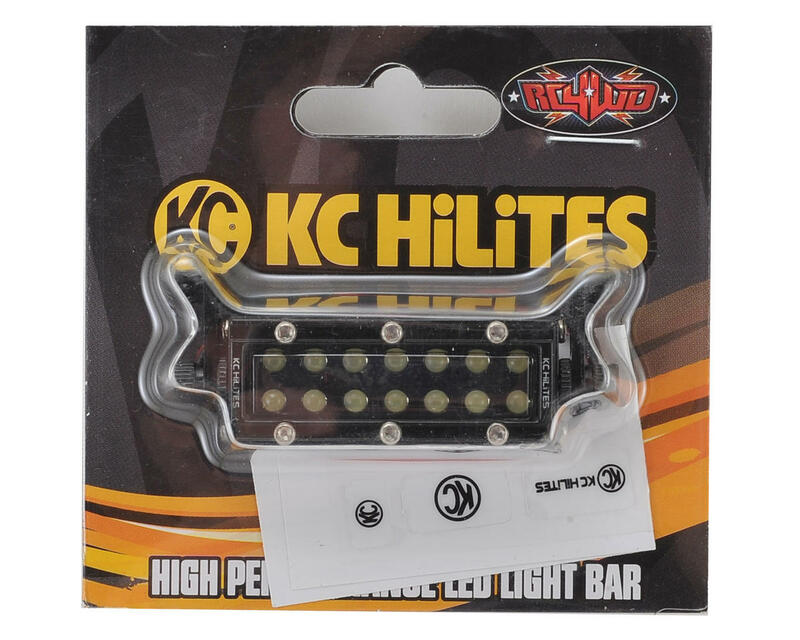 The RC4WD 1/10 KC HiLiTES C Series High Performance LED Light Bar is an officially licensed 40mm replica of the KC HiLiTES Light Bar. This will make any project look better and add much needed lighting and visibility to your project. Plus, its fully compatible with a standard 2S LiPo, or 11.1V/3S LiPo when used with a BEC. Use medium grade thread lock on "L" bracket nut to prevent loss and to keep the light in position. Unit needs to be directly connected to 7.4 volt battery. Can also be connected to 11.1volts with use of BEC. 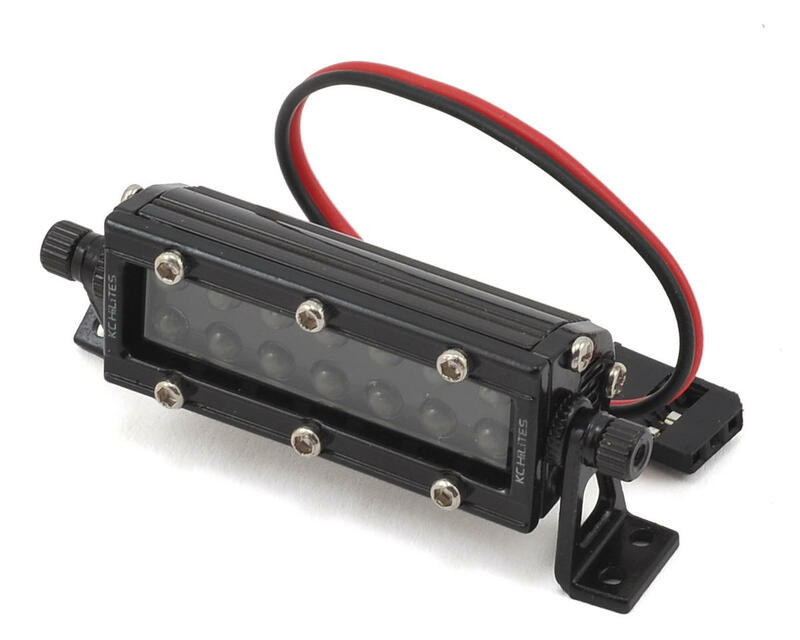 The light bar comes with a standard receiver plug, this is only for ease of use. The receiver will not provide enough power for the light bar causing it to be dim. If you want the light to be brighter, you will need to power it directly from your battery or use a BEC to get more power to your receiver. Modifications can be made to fit this light to various bumper applications. This light will fit the following bumpers with little to no modification.